This 110 million-year-old, armored plant-eater is the best-preserved fossil of its kind ever found. Such a discovery is so rare that paleontologists believe it is like “winning the lottery,” since there are usually only bones and teeth left, with no soft tissue. “It could have been walking here a couple of weeks ago,” said a paleontologist of the University of Bristol in the United Kingdom. “I’ve never seen anything like this,” he added. Every once in a while when experts come across the fossilized remains of Dinosaurs— a diverse group of reptiles that first appeared during the Triassic—meticulous work needs to be done before the fossil can be presented at a museum in a recognizable way. However, no one on Earth has any issues confusing this fossilized dinosaur for a stone—it’s one of the most incredible, fascinating discoveries made in the last couple of centuries, and it is believed to be around 11 million years old. It was recently unveiled at Canada’s Royal Tyrell Museum of Paleontology. The dinosaur fossil is so incredibly well-preserved, it looks like a massive statue. The fossilized remains belong to the Nodosaurus and it has left experts baffled. Nodosaurus (meaning “knobbed lizard”) was a genus of herbivorous ankylosaurian dinosaur from the Late Cretaceous. It had four short legs, five-toed feet, a short neck, and a long, stiff, clubless tail. The head was narrow, with a pointed snout, powerful jaws, and small teeth. As noted by National Geographic— this group of heavy herbivores, which walked on four legs, likely resembled a cross between a lizard and a lion – but covered in scales. The incredibly well-preserved fossilized remains of this herbivore, which was characterized by heavy armor, were found in western Canada in 2011 but only recently has it been presented to the public. The images have been published in the June issue of National Geographic magazine. So how come it’s so well-preserved? The discovery of the fossilized dinosaur remains were made by accident. Funk was not that surprised to run into this sort of things since in his 12 years of experience he had already found fossilized wood and a stony tree trunk. But this was a dinosaur. “It was definitely nothing we had seen before,” Funk told the National Geographic magazine. “These guys were like four-footed tanks,” dinosaur tracker Ray Stanford told The Washington Post in 2012. 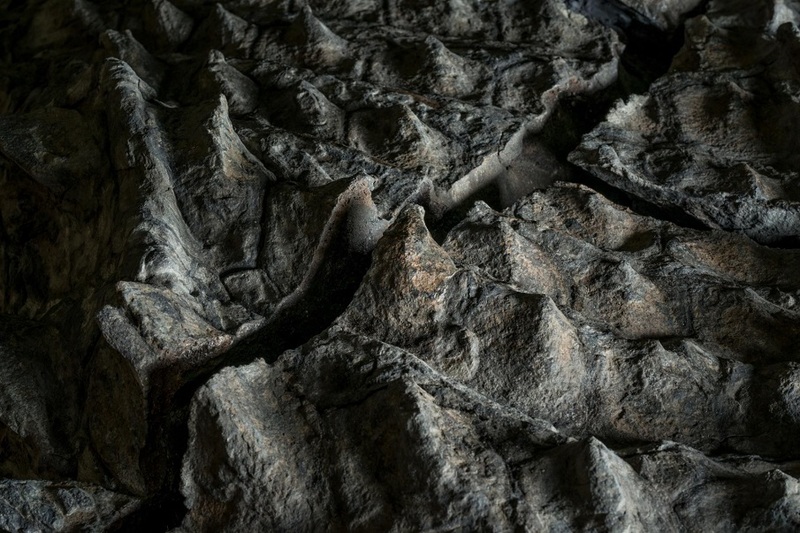 Usually, dinosaurs’ armor is ruined during the process of decay and fossilization. 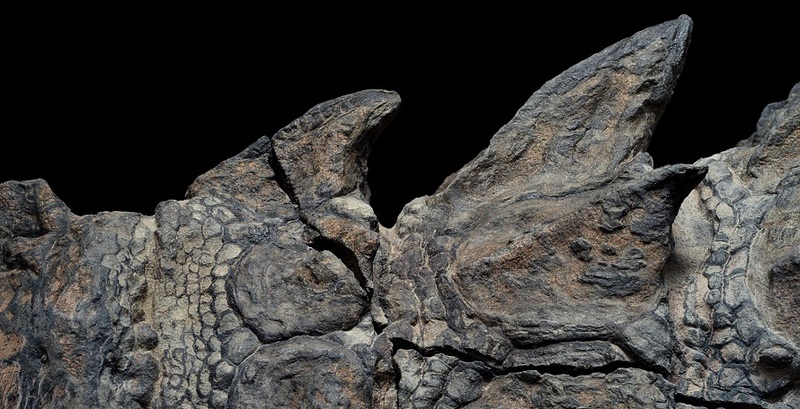 However, the Nodosaur’s bony plates and scales between them remained relatively intact, earning it the rightful title as the best-preserved dinosaur fossil discovered to date. “I’ve been calling this one the Rosetta stone for armor,” added Donald Henderson, curator of dinosaurs at the Royal Tyrrell Museum. Such a discovery is so rare that paleontologists believe it is like “winning the lottery,” since there are usually only bones and teeth left, with no soft tissue. “It could have been walking here a couple of weeks ago,” said paleontologist Jakob Vinther of the University of Bristol in the United Kingdom. “I’ve never seen anything like this,” he added.